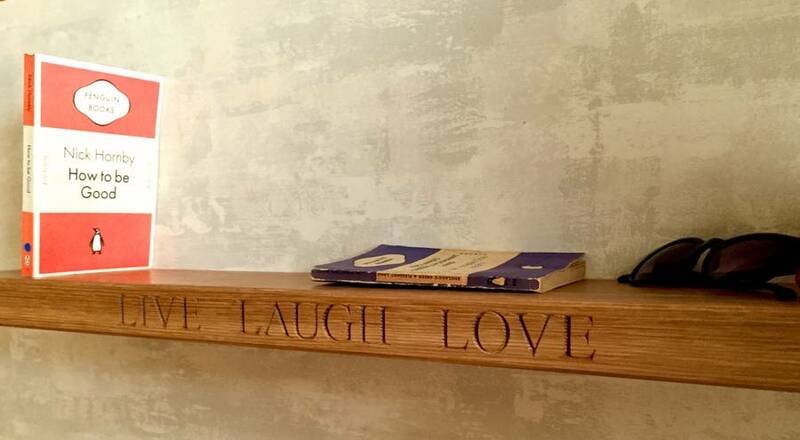 The perfect way to decorate your home with this engraved personalised shelf in solid Oak. 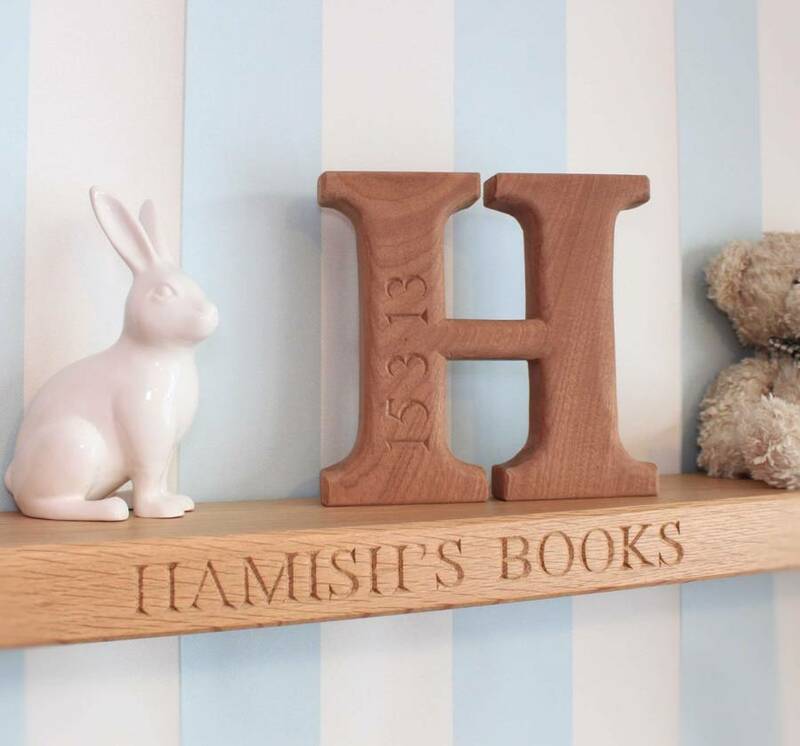 This unique product offers you complete flexibility for it use, from a personalised memory shelf, a beautiful addition to nursery, a mantel piece, hall way shelf for keys, a photo shelf, memory shelf, book shelf, drink shelf/bar, or a unique trophey shelf to display your memories and achievements with pride. The possibilities are endless and a great opportunity to be creative in your carving to make your home truly yours. Made from solid kiln dried Oak making this shelf very stable and set to last for years in your home. The oak shelf has hole in the rear to accommodate two floating shelf brackets which are provided. 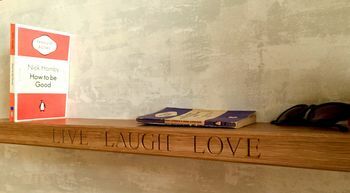 Your shelf can be in varying lengths up to 120cm x 15cm deep x 4.5cm thick with a waxed coat to show off the grain and provide a protective finish. It is recommended that this shelf is fitted by a trained professional to ensure a safe secure fixing. The bracket will need to be secured soundly to the wall using the appropriate screws or anchor bolts (bolts/screws not provided as the appropriate fixings need to match the wall type (brick, concrete, timber etc)). This product is dispatched to you by House of Carvings.